you’re just trying to rub it in our faces with that last picture, aren’t you?! Have an awesome week Michelle! Damn where are the trolls when you’re fishing? bro perhaps its time you do another review of some of the more popular fireworks available in sibu now. back in sibu for cny first time in 10 years and the only firework i remember is jin she pu bu or loosely translated as golden waterfall? and i am not even sure if they still exist. so if you are up for it, a post about those big big blocks of fireworks, so close to chinese new year, would be perfect! I do that every year. You’re talking about “Colored Peony” I reckon? Welcome back and happy CNY bro! HB, people in San Francisco drink scotch whiskey with no ice or (on the rock). They like the smooth taste of it . I prefer Black Label Jonnnie Walker most popular here. It’s either neat or on the rocks. I had mine on the rocks coz it was damn hot in the afternoon and the central air conditioning wasn’t on. is the fan trying its hardest to cool you down? the durian and whisky is certainly safe to be consumed together but i remember feeling kinda warm (almost hot) when we ate this by the poolside for my birthday do. Someone shut off the central air conditioning coz there’s always a lot of people pre-CNY – aunts helping out, people fixing stuff etc etc. I heard this dude on the previous post say that I did it wrong. 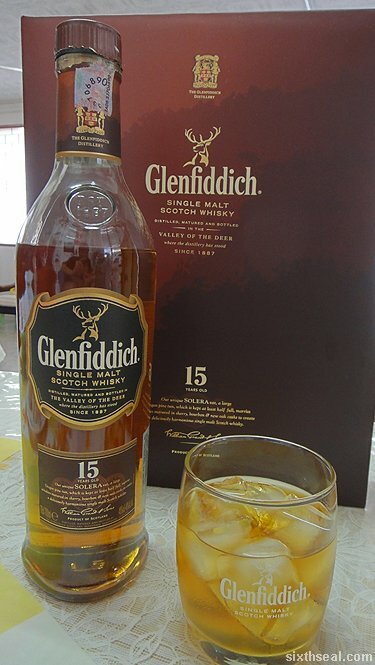 I drank beer with durian in my previous post so now I’m doing whisky…even though I’ve done it before. I don’t feel hot though – maybe it’s coz of the whisky instead of the durian? 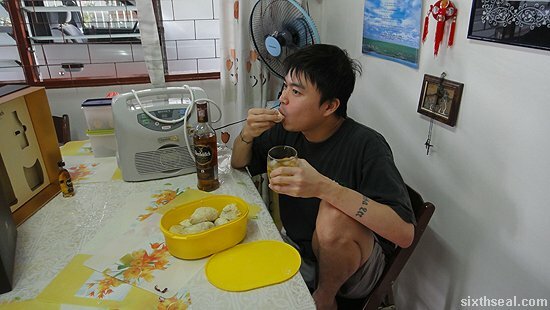 Trying to proof that drinking and eating durian will make you sick is a myth? 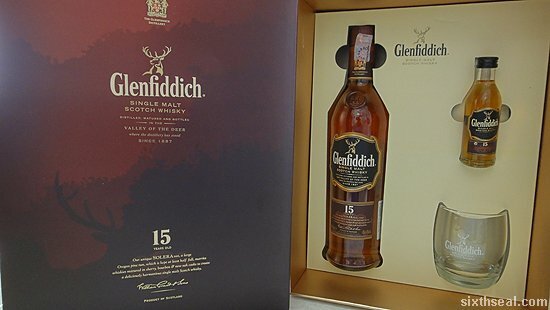 I love Glenfiddich! where did you get that? You can get it at most places for about RM 245.